Heating your home with poorly maintained equipment is like playing with fire—sometimes quite literally! Even if you don’t have a fireplace with an open flame, you could be putting the safety of your home and family at risk. Especially if you slack off on monitoring the condition and performance of your heating systems. While heating equipment only accounts for around 16 percent of residential fires, the consequences of these events is often quite grave. In fact, the National Fire Prevention Association (NFPA) estimates that heating equipment contributes to around 19 percent of all fatal fires, of which there are about seven cases per day. That means that every day, about one to two deaths can be attributed to HVAC systems and other heating devices. 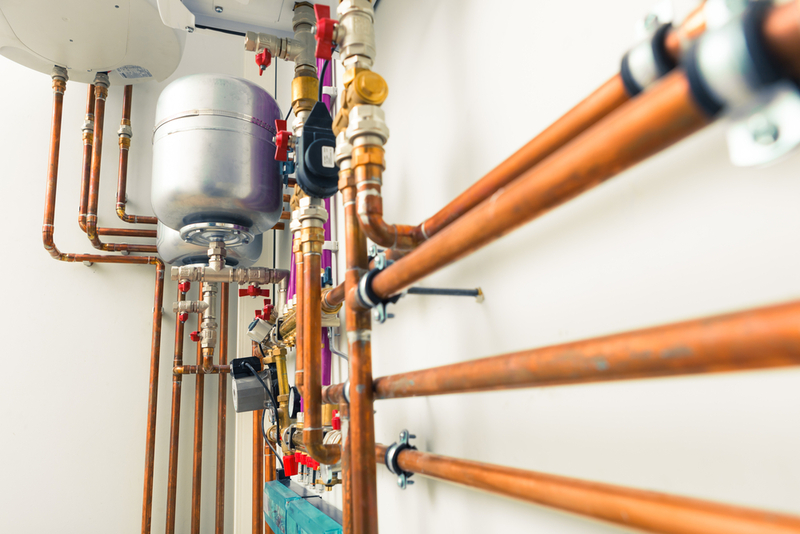 While not all of these issues are preventable, you can at least give yourself some peace of mind by learning some common causes of heating equipment failures and combustion. Here’s how you can properly maintain and use heating systems for the safest outcome possible. While space heaters can add some pleasant warmth to a chilly room, they really should only be used as a last-ditch resort. When it comes to heat equipment, space heaters are the number one contributor to home fires—and their effect is often fatal. In fact, space heaters are one of the most frequent contributors to fires involving heating equipment. If you’re using a space heater because your home has drafty or chilly spots, it’s worth taking a look at your heating unit, ductwork, insulation, and air sealing to see if one of these might not be the source of the draft. However, if you must opt for a space heater, make sure to practice the following safety tips. First, look for a space heater that has a digital interface with a timer—this will help ensure that the space heater isn’t accidentally left on unattended. Next, never place space heaters near curtains, upholstery, hanging clothes, bookcases, or other flammable items. Another common cause of residential fires is malfunctioning heating equipment, particularly in chimneys. Chimneys need to be properly maintained and cleaned regularly to avoid creosote buildup. What’s creosote? It’s a byproduct that occurs when smoke, vapor, gases, ash, and tar combine with natural condensation in the upper portion of the chimney. This substance sticks to the sides of your chimney, as black or brown residue. The problem is, it’s incredibly combustible, and that ignition can result in home chimney fires. Have a professional chimney cleaning service out to inspect your home at least once a year. They can check for creosote deposits and clean them to keep your equipment operating safely. Reduce buildup by keeping your wood fire at a reasonable size—because overloading equipment will only cause more residue. Your central heating system is just like any other appliance. It can degrade and break down as it ages, and unfortunately, some of this deterioration can result in serious and dangerous conditions. One issue comes with the wiring. Over time, electrical connections can become loose, which overloads your furnace, causing shorts and fires. You should be on high alert if you notice a burning smell or smoking coming from your heating equipment—and have an HVAC professional out to visit as soon as possible. Another serious problem? A cracked heat exchanger. Not only does this put you at an increased risk for carbon monoxide poisoning, it’s also a fire risk, too. Carbon monoxide is a highly flammable substance, so when it mixes with your air, there’s the possibility of combustion. An annual inspection of your heating equipment should help you rule this issue out. Leaking fuel lines can also have disastrous consequences. Heating oil and natural gas are obviously very, very flammable. And when your lines leak, it allows these ignitable substances to come in contact with heated components, which is just asking for trouble. 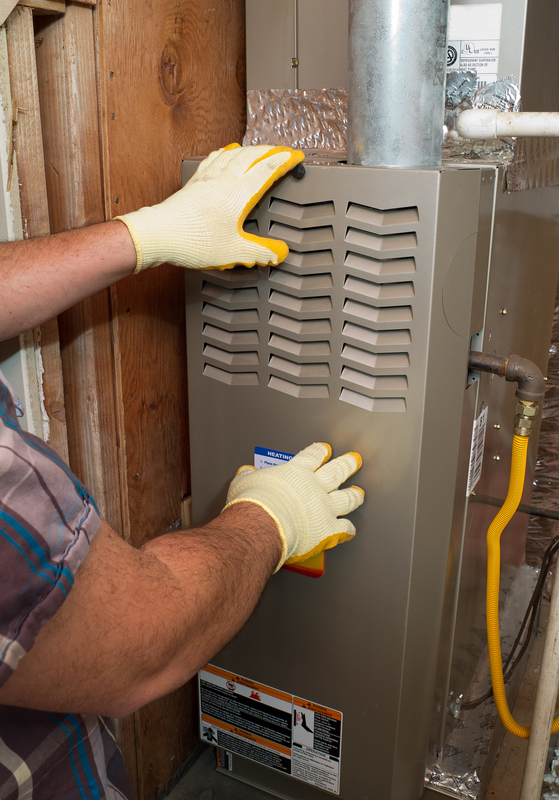 If you smell oil or gas, shut your heating equipment off immediately, and contact a service repair person. Houses are filled with flammable materials like papers, books, furniture, curtains, clothes, boxes, and any number of other items that can spread a fire fast. In particular, if your furnace sits in the attic or basement, it can be easy to pile unused items around it. However, this is a fire hazard. Crowding heating equipment was a massive contributor to fatal fires—contributing to combustion in about 56 percent of cases, according to the NFPA. Make sure you’re keeping the area around your furnace, heat pump, and other equipment clear—an area about three feet in diameter. While it’s scary to contemplate the tragedy of a home fire, the good news is that a lot of them are preventable. You can also prepare yourself in the event of a fire by testing your smoke alarms regularly and installing ceiling sprinklers, especially near your heating equipment. When it comes to combustion, preparedness counts.